If you're a gmail user, it will look a little different. 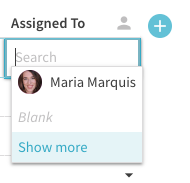 Rather than Show more, you'll see +Invite person instead, and you can select anyone you'd like to add to your doc. 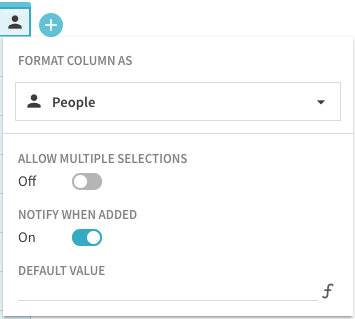 Just a heads up, even if you don't have the notifications toggle turned on, you'll still be able to assign to non-collaborators, and they won't receive a notification. And, if you want to remove people from this list, simply right click their name. 5. 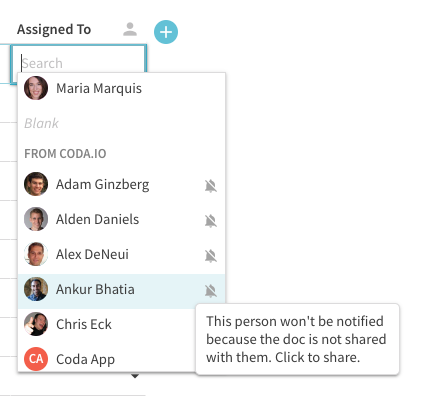 Then once your doc is set up, you can formally share with everyone, and turn on notifications letting you unveil your masterpiece when you're ready!